Why do you need to provide a notice to vacate letter to your Landlord? What is most commonly referred to as the 30 day notice letter (some leases will require 60 days notice, however), this letter states your intent to vacate your rental to your landlord and is legally required as stated in your lease agreement. In fact, writing a notice letter notice to your landlord and documenting that you sent it is important not only for moving out, but for protecting yourself in a court of law in case things turn nasty. We created this template to provide an example of what you need to cover in order to successfully and legally move out. What needs to be included in your landlord notice letter? View the Notice to Vacate PDF, print, and fill it out. 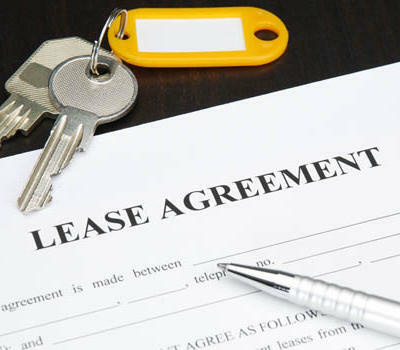 To learn more about breaking leases, read our guide on how to break a lease. Although not necessary, this notice letter is a great place to set your expectations on the amount you should receive from your security deposit. The best way to do this is to ask for a “pre-departure inspection” where both you and your landlord walk through your rental, so that your landlord can provide you a list of things that need to be cleaned or fixed in order for you to receive your full security deposit back. States such as California actually require your landlord to notify you that you can schedule a pre-departure inspection. Check the Civil Codes in your state to learn if your state requires pre-departure inspections. If it doesn’t, that should not stop you from asking your landlord to do a walkthrough.